WHAT: RealGames™, the casual games business unit for digital entertainment services company RealNetworks® Inc., is announcing the availability of "Pastry Passion," a new casual game developed by Real's GameHouse Studios and published by RealGames. This new game is now available on RealArcade.com and GameHouse.com. Whip up a passion for puzzles with this sweet treat! In "Pastry Passion" players help Henri, a high-spirited baker with a penchant for pastries, arrange scrumptious ingredients into groups of three or more to make colorful confections. "Pastry Passion" challenges players to improve their bakery with helpful tools and rise to the rank of Master Pastry Chef in level after level of mouth-watering matching fun. 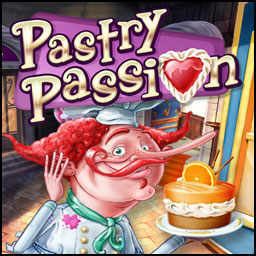 Featuring two original game modes, special in-game trophies, and rich full-screen graphics, "Pastry Passion" is a delightful indulgence for the mind. Casual games are simple to learn but often difficult to master. Fans of casual games enjoy the quick-play format that fits easily into busy schedules, providing a method to relax, recharge, or simply pass the time with an entertaining challenge. RealGames strives to incorporate simple game play, intriguing challenges, unique story lines and visually stunning graphics into each new game. WHEN: "Pastry Passion" will be available beginning today, May 15, 2008.
WHO: RealGames is one of the world's largest developers, publishers and distributors of casual games with a global reach of more than 40 million monthly unique users through its RealNetworks family of international games portals and syndication network. As a leading global publisher, RealGames offers game developers the opportunity to tap into its network of Web sites, global distribution partners and expertise in games marketing. RealNetworks, RealGames, GameHouse, Mr.Goodliving, RealArcade, Rhapsody and RealPlayer are trademarks or registered trademarks of RealNetworks, Inc. or its wholly owned subsidiary. All other trademarks, names of actual companies and products mentioned herein are the property of their respective owners.